A new Tex-Mex restaurant named AJ’s has quietly opened in Valley Village, bringing more queso and brisket to the San Fernando Valley. The official full name of the restaurant AJ’s Tex-Mex & BBQ, and it takes over for the shuttered Texas Best BBQ on Riverside Drive. 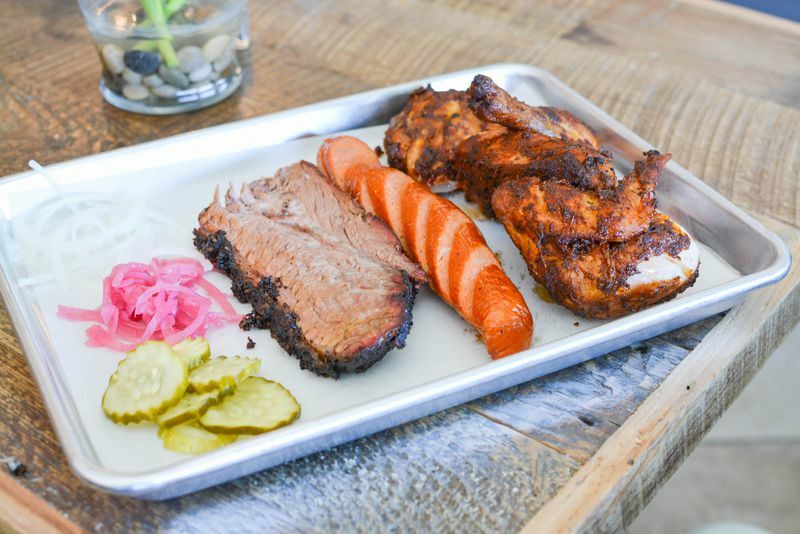 The restaurant is a partnership between Anthony Chin, one of the players behind Horse Thief BBQ at Grand Central Market in Downtown, and John Carrizales, a finer dining chef out of Houston who has spent time at The Bazaar. Chin and Carrizales quietly opened the restaurant at the end of last month, working a tight menu of Texas specialities like brisket, ribs, chorizo, and queso. There will also be all-day breakfast tacos, barbecue sandwiches, and comfort food sides like mac & cheese and tater tots. There’s room to dine inside the small space, but most of the eating is meant to be done out on the big front patio. The opening menu is below. 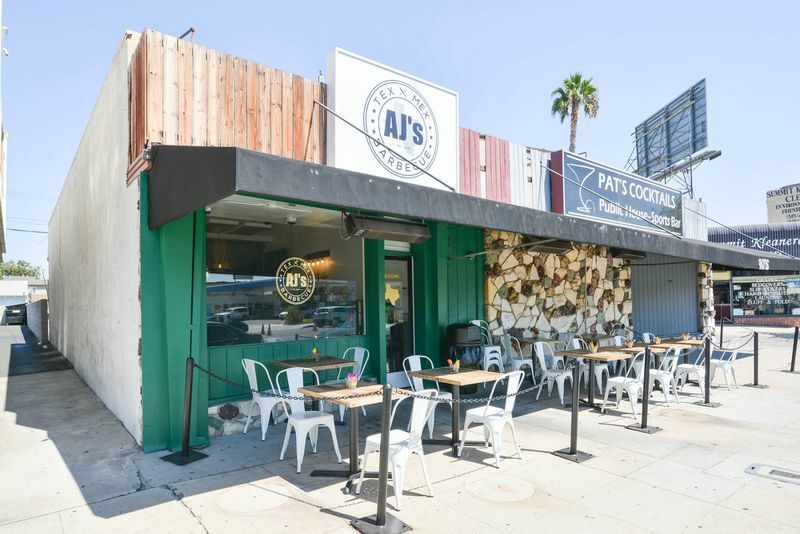 More importantly, AJ’s is attached to the decades-old local hang Pat’s Cocktails, which means imbibers and weekend sports fans can catch a meal with their beer by way of a small sliding window that adjoins the two businesses. The plan is to keep a late-hour food menu up and running all night long, as well as a brunch menu on the weekends. AJ’s Tex-Mex & BBQ is up and running now, keeping daily hours from 11 a.m. to 10 p.m. (closed Tuesdays). AJ’s Tex-Mex & BBQ. 12123 Riverside Dr., Los Angeles, CA. 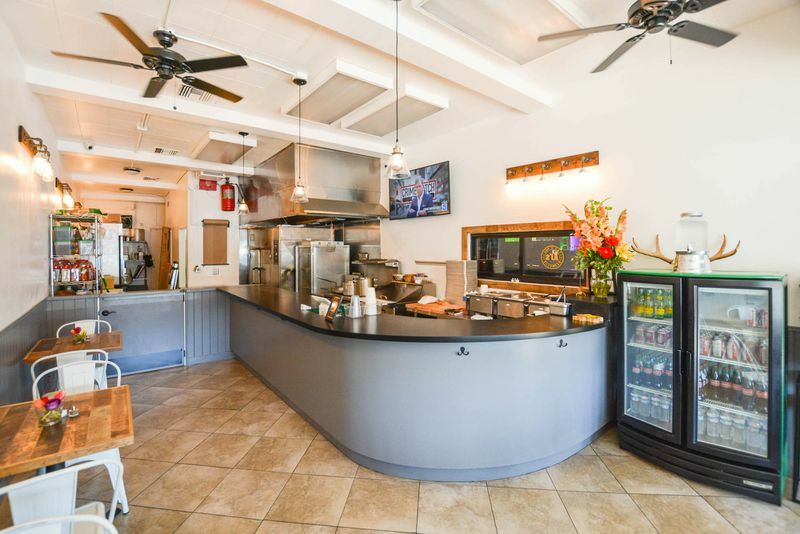 “San Fernando Valley Newcomer Promises Proper Tex-Mex Barbecue.” Eater LA – All. https://la.eater.com/2018/9/11/17841546/ajs-tex-mex-brisket-bbq-valley-village-open-new.